Printing & Publishing Staff Hiring Services in Bhopal - Lakkho HR Consultants Pvt. Ltd.
Printing is a steadily growing industry. 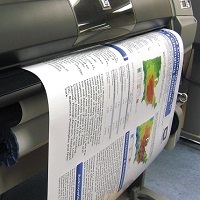 The demand for printed materials is tied to a number of factors having to do with general economic activity. The printing industry prints products ranging from newspapers, magazines, and books to brochures, labels, newsletters, postcards, memo pads, business order forms, checks, maps, T-shirts, and packaging. The industry also consists of establishments that provide related services to printers, such as embossing, binding, finishing, and prepress services. Our advantageous recruitment solutions of the highest quality help them to find qualified candidates, on time and within budget. Our consultants are constantly keeping pace with changing technology and applying it to client advantage. We can also provide innovative and flexible placement arrangements to meet your precise needs, and recruit for you on retained assignment or contingency basis.